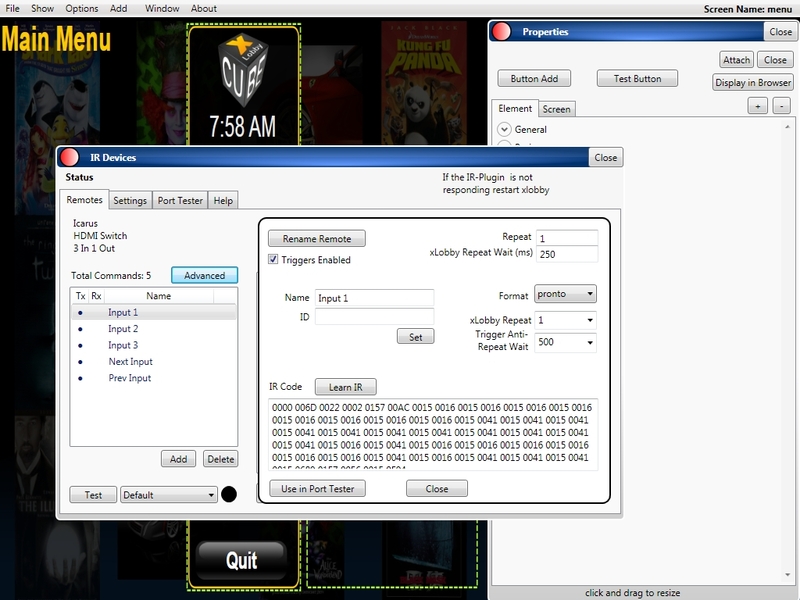 A early bleeding edge xLobby V3 update is available today showing our new IR Device menu with some of the new features. The final release will be downloadable on Friday with the Port tester and Help tabs enabled. 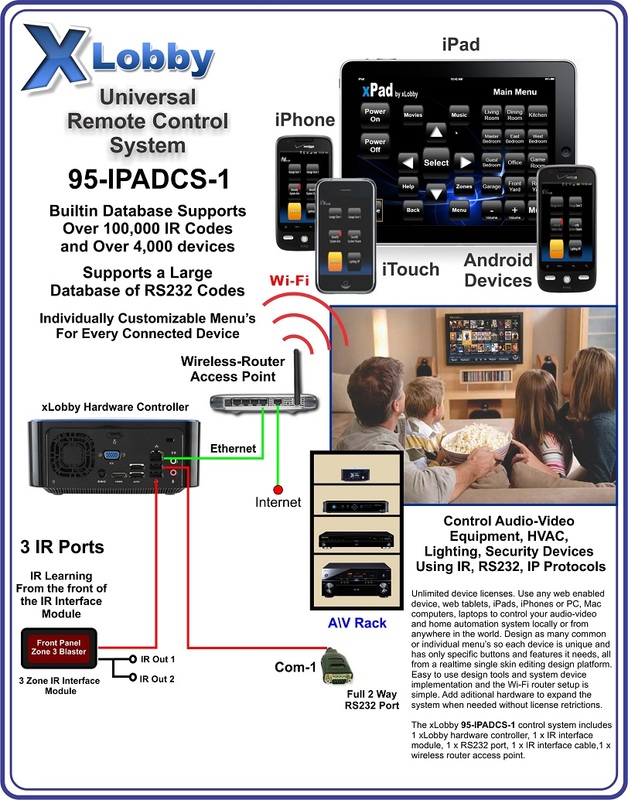 4000 plus devices, Over 100,000 IR codes are builtin and accessable. 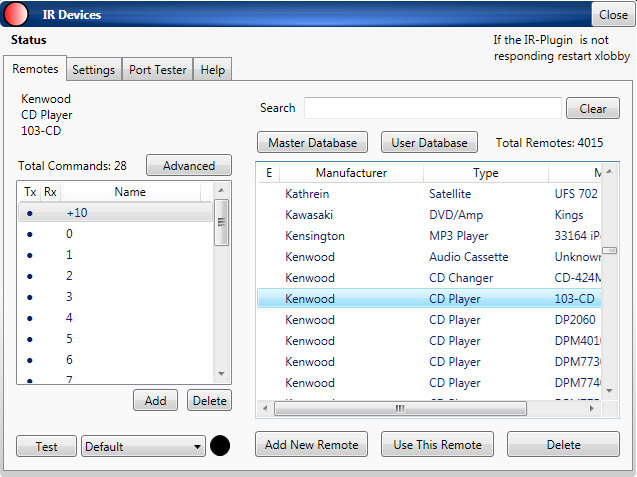 Move IR devices from the Master Database to the User Database for quick & easy access to frequently used IR commands. Screenshot of the New IR Device Menu in the skin editor. 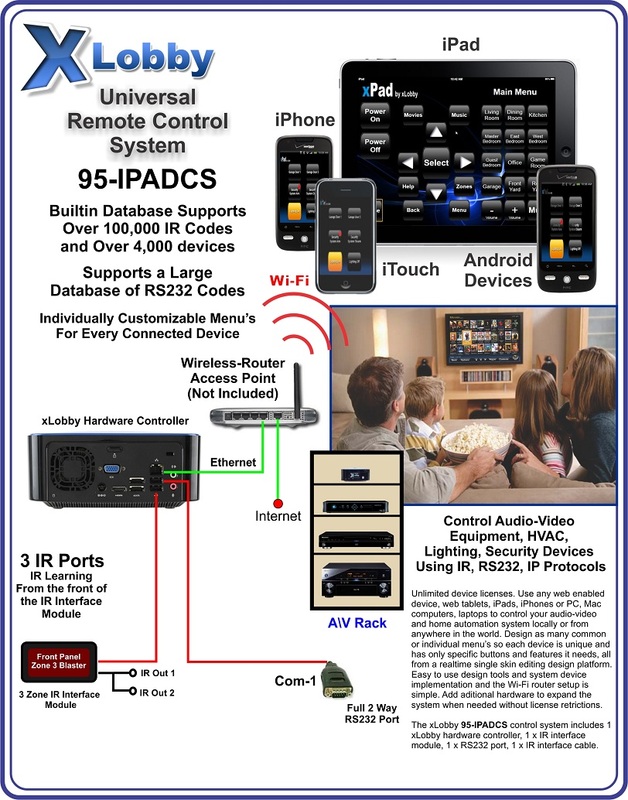 The new IR Devices menu adds more power and flexibility to the xLobby platform. 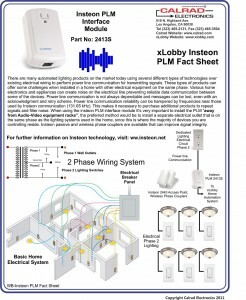 Now xLobby can be a cost effective, powerful control only solution using virtualy any web enabled device. Extensive Installer friendly tools and features are constantly being added to provide for a simple design and development platform for control interfaces, customize screens for each device individually by screen size or customers requirements. 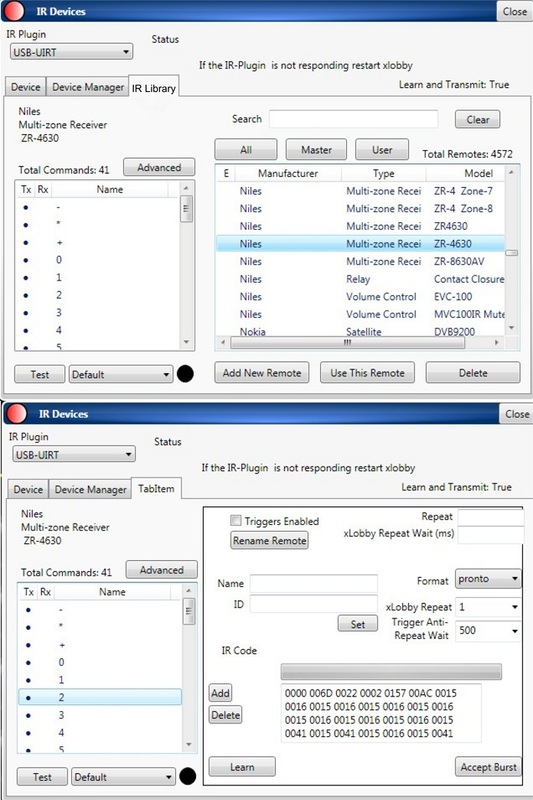 The port tester tab provides troubleshooting and testing assistance of single or multiple IR ports. The test offers features to send a single IR command in a sequence to multiple IR ports or to a single port for a fixed period or in loop cycled sequences. Users can select any IR code from the xLobby IR code library to send. These tools provide assistance to the installer for testing and troubleshooting devices and IR delivery systems. See the screenshots below. It’s also easy to drag and drop Pronto based IR code directly into the IR Code text box. The help menu tab provides valuable information on using the new IR Device menu and outlines details and methods of learning IR commands. Sort devices by manufacture or by Model number by selecting the column headers at the top of the database. xLobby Update Tab under Alt + F2 setup. The updates now include the IR Code Library. 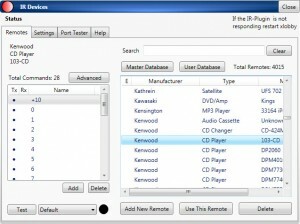 Select the IR Code check box to upload the current database. If the check box is already checked during an update this means new IR codes have been added to the database. 1. Labeled design elements to show IR commands are present, see the screenshot below. 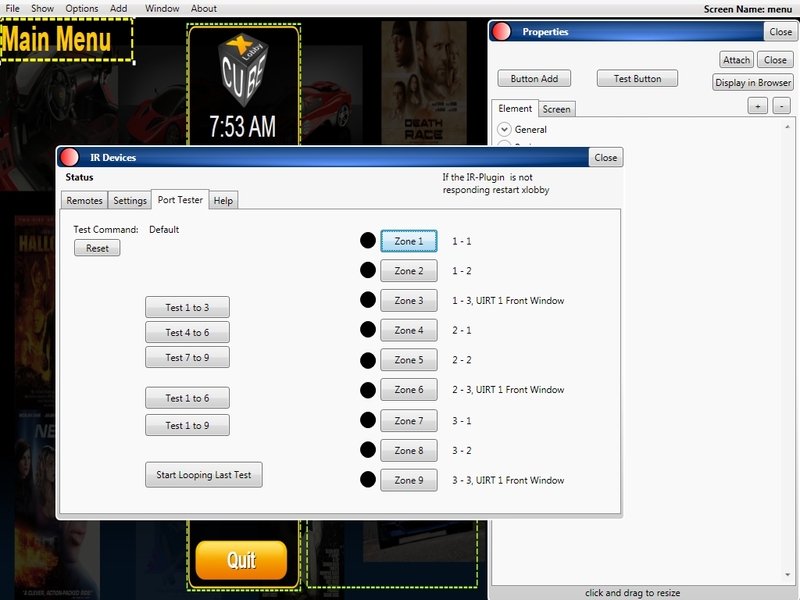 Below is a screenshot of the new xLobby Universal Control System IR Device menu with the new IR code Library. Further details on all the features will be available soon. 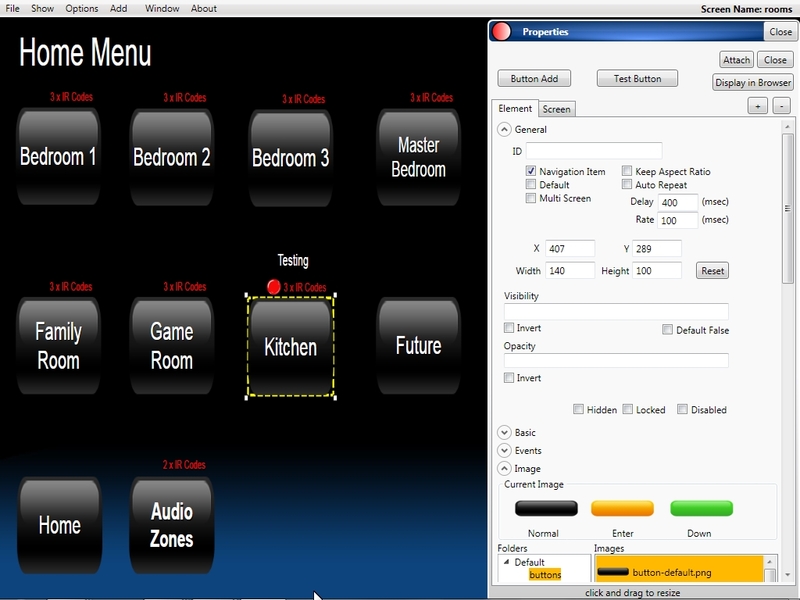 xLobby has three new IR and home automation control platforms. These new systems are for IR and RS232, IP home automation control only and offer no integrated media management of music, movies, etc. . You can still interface and view media content with existing xlobby hardware on the network. 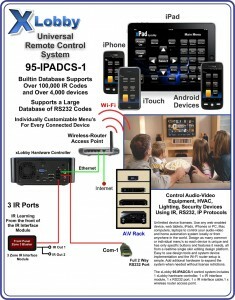 The xLobby IPADCS product line provides users with the ability to use any web enabled device for control, Apples iPad’s, iPhones, ITouch products, Android Phones, Tablets. The skin editor has been updated to allow standard xLobby products and the new IPADCS sytems to quickly create interfaces and add control codes to buttons directly from our IR, RS232 code library. Create individual themes and menus for each device. 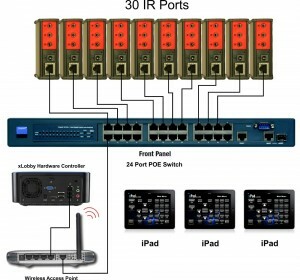 The control iterface is fast, 2 way and provides several diagnostic tools for setup and system monitoring. 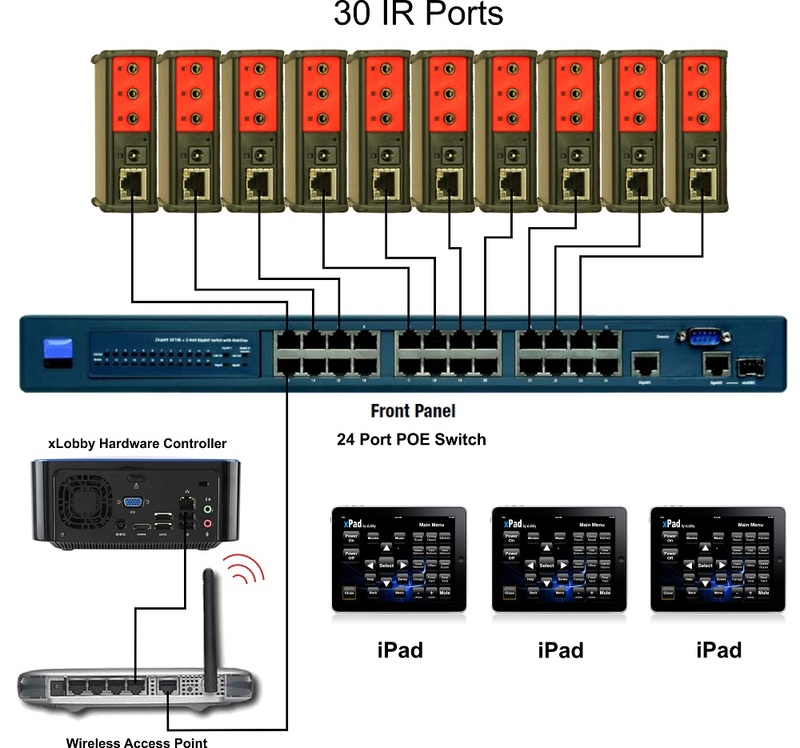 These systems can also be used with other control IP based hardware like Bitwise, Global Cache, Auroa-WACI to create any high level control system required, there is virtually no limit to the amount of IR, RS232, IP based products that can be added when needed. 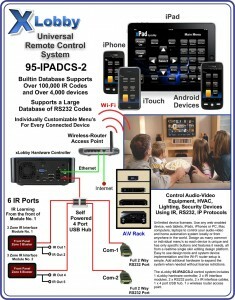 These systems will be available in late May, 2011. 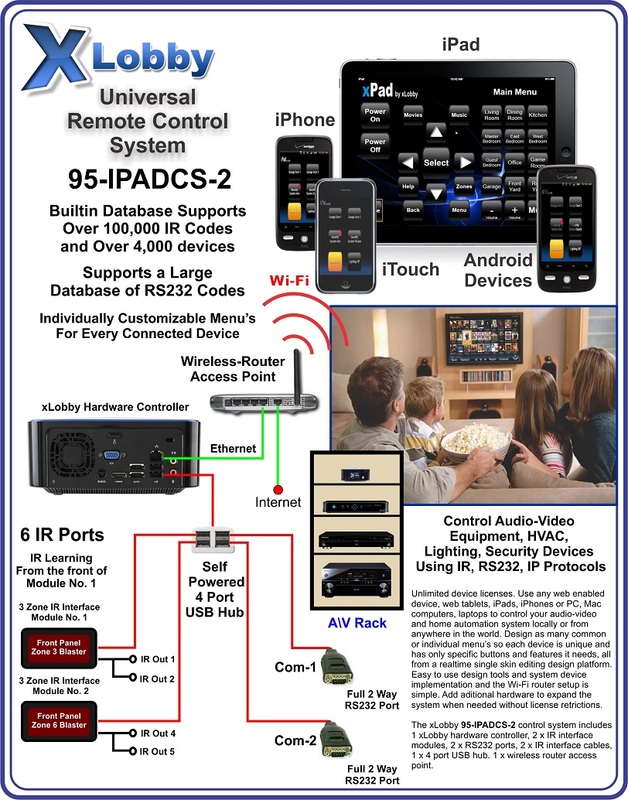 Example Illustration of using Global Cache Products, part no: IP2IR for 30 Zone discrete IR control. All the power for the devices are POE (Power Over Ethernet) supplied from a POE type switch, eliminating 10 wall wart power transformers. 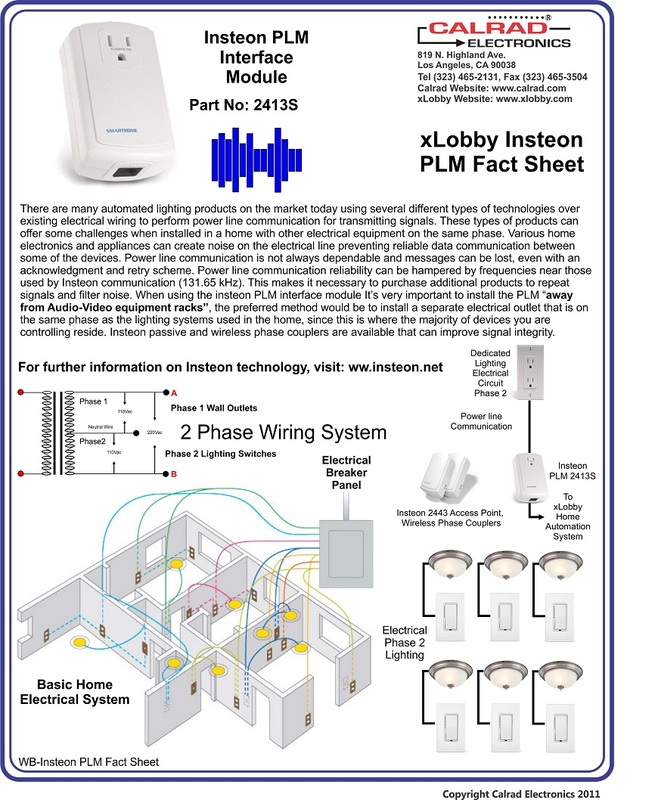 The Calrad Cable Termination Fact Sheet was created because so many users have issues using Balun products with Cat5e, Cat6 wiring and they don’t understand the importance of maintainig the proper wiring configuration when terminating RJ45 connectors. You are currently browsing the xlobby news blog archives for April, 2011.